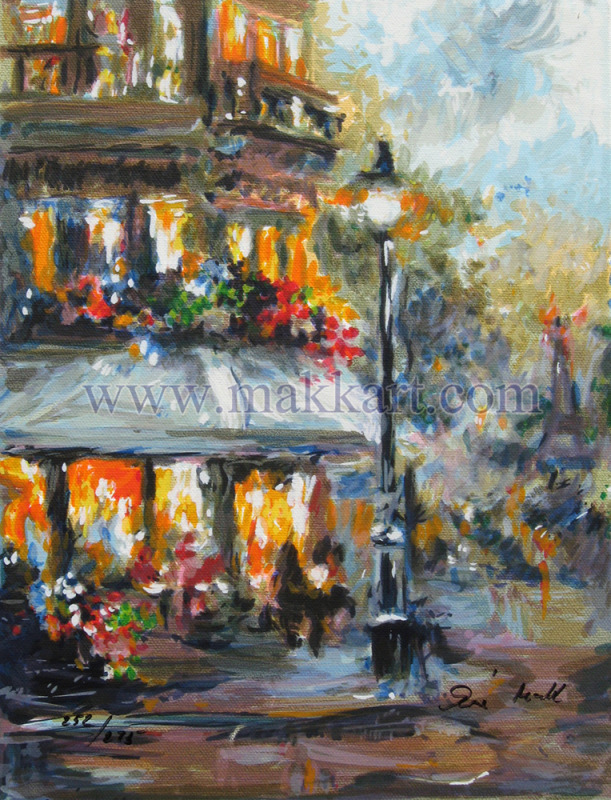 “Eye Full” is a Parisian scene done in an impressionistic style by Eva Makk. The windows are aglow, boosting the mood and beauty of this artwork. Here the title is a play on words as one can see the Eiffel Tower in the background!